Very particular care is given to the manufacture of a Steinway, and repairs are very rarely necessary. if the need arises, however, do make sure that repair work is solely carried out by an authorized and skilled technician. A piano requires expert care. You should leave all service, like cleaning, tuning, voicing, regulation or eventual repairs, in the skilled hands of an authorized technician, otherwise you will lose your right to claim under warranty. The character of each individual note is formed by pricking the hammer felt in a radial fashion. Voicing demands extensive expertise and should be left to the judgment of an authorized technician. 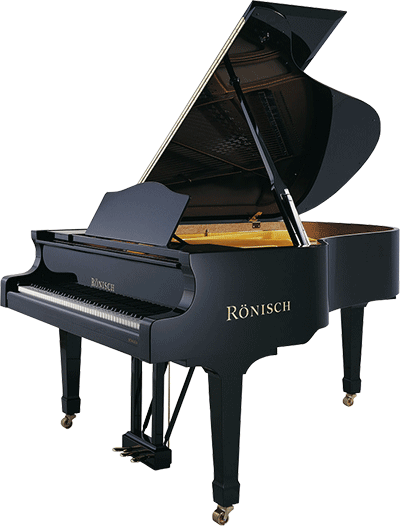 The casters allow easy movement and positioning of the grand piano. There is, however, a risk that the grand piano may move of its own accord if its casters are not locked by the brakes. In the event of uncontrolled movement people may be injured or property damaged. It is therefore important to lock the casters of the grand piano using the brakes as soon as the instrument is in position, particularly after being transported.